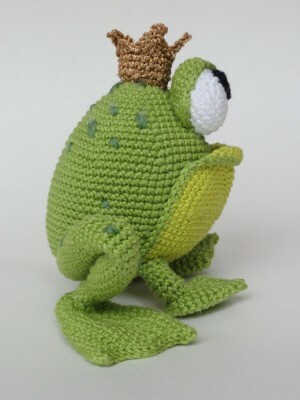 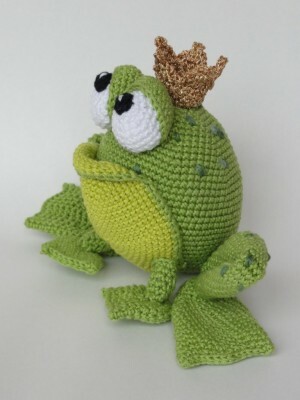 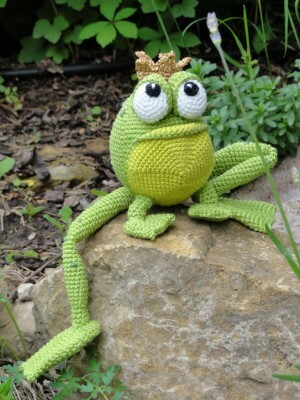 Following this pattern Henri the Frog will be 13 cm high in sitting position. 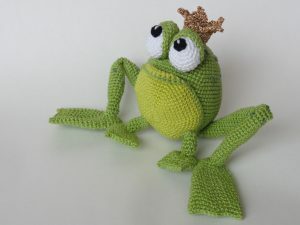 From tip to toe he is 31 cm long. 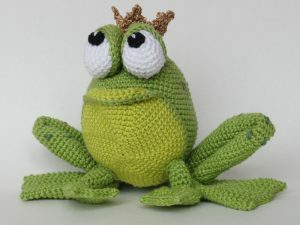 The pattern is available in English (American terminology) and German.